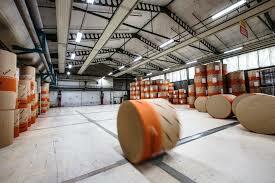 Mondi has opened its expanded heavy-duty corrugated plant in Simet, Poland. The paper and packaging giant has installed a 2.8m Fosber corrugator with three single facers, with speeds up to 400m per minute. The corrugator delivers up to seven-layer corrugated board at a flute range from E to ACA to the converting equipment, which was also expanded. Mondi Simet now covers corrugated board production and converting into boxes in-house for a wide range of heavy-duty, big-box, shelf-ready packaging and e-commerce applications. The expansion represents one of the biggest capital expenditure in the history of Mondi Corrugated Packaging. Armand Schoonbrood, chief operating officer of Mondi Corrugated Packaging, said Mondi has a strong presence in Poland, and some plants are positioned closely to bordering countries where it has a good position to supply into these markets. Schoonbrood told Packaging News Mondi is well positioned in Poland. He said that ecommerce is growing in Poland; while the UK is the biggest ecommerce retail market in Europe, it is also levelling out. “Mondi has always held Poland as being high on its markets for growth. For over a decade we have focussed on Central and Eastern Europe which is reflected in our footprint. The Polish market is growing above European average – this also accounts for it´s ecommerce growth , this is why it was of particular interest to complete our footprint in this country by adding Mondi Simet and investing into the plant to become a major hub for corrugated packaging solutions.